Mash bananas. Add sugar, egg and vanilla and mix well. Add flour and mix. Add butter, nuts, craisins and chocolate chips, and mix. Pour into a greased loaf pan. Bake at 350°F for 45 – 60 minutes, using toothpick to test doneness. I’ve got some over ripe bananas in my freezer just waiting for me to make some banana bread…and if i had self rising flour this recipe would probably drive me to do it today! Oh yum! I need a new banana bread recipe, thanks for sharing! 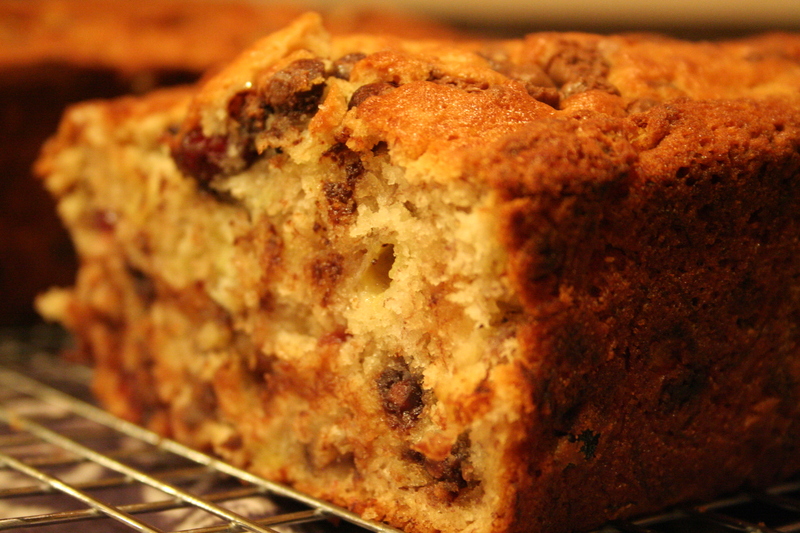 I love Banana Bread and this recipe sounds DELISH! all i can say is YUUMMMMO! cant wait to try it.